for $104,900 with 2 bedrooms and 2 full baths. This 988 square foot home was built in 1988 on a lot size of 0.15 Acre(s). 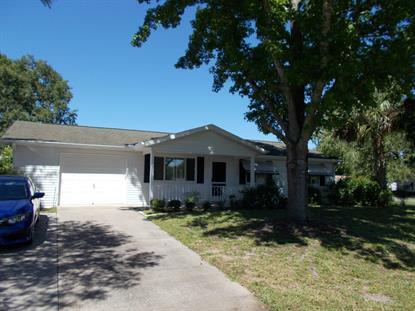 Clean and well-cared for, with tile floors and new carpet, this York has a spacious kitchen and dining area. Master has en-suite bathroom and step-in shower. Bright kitchen has newer refrigerator, newer exhaust fan above range, planning desk and pantry. Vinyl-enclosed lanai and fenced in area in back. Roomy and private corner property. HVAC 2010, Roof, 2001. Garage holds a car and a golf cart. Driveway widened. Furniture included.